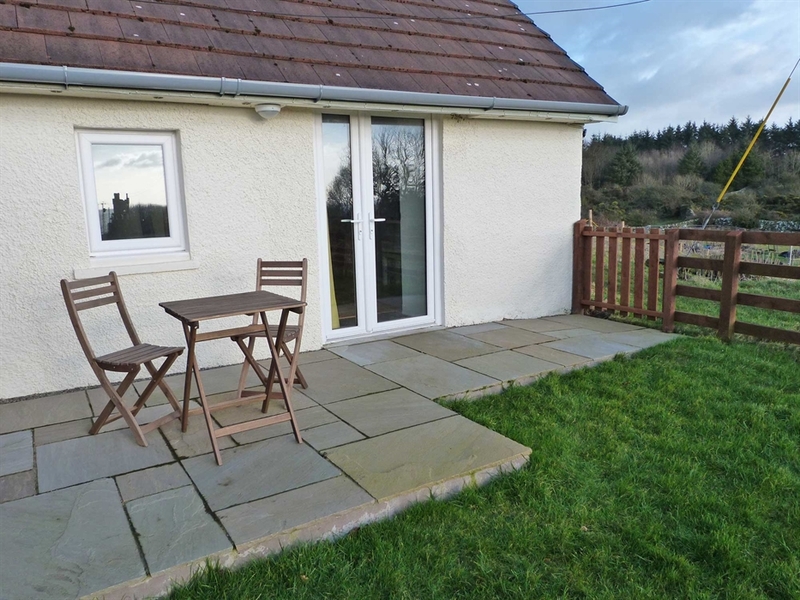 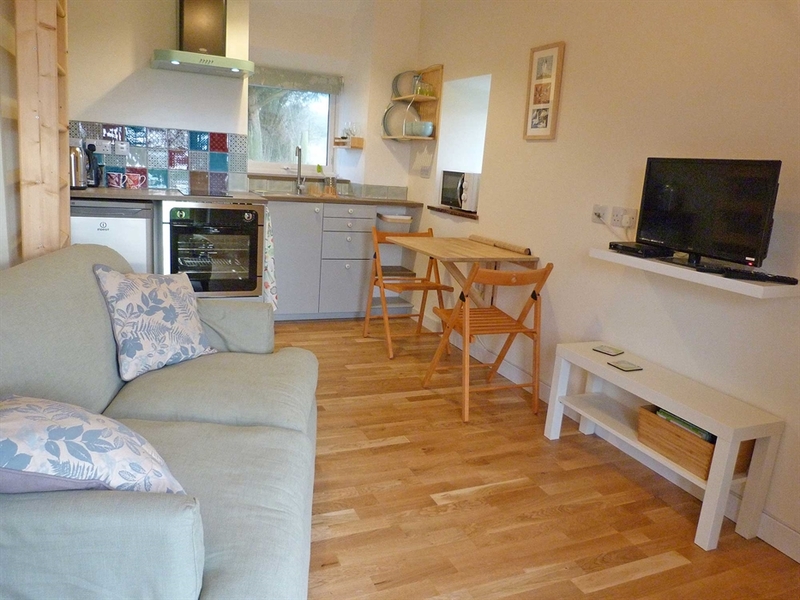 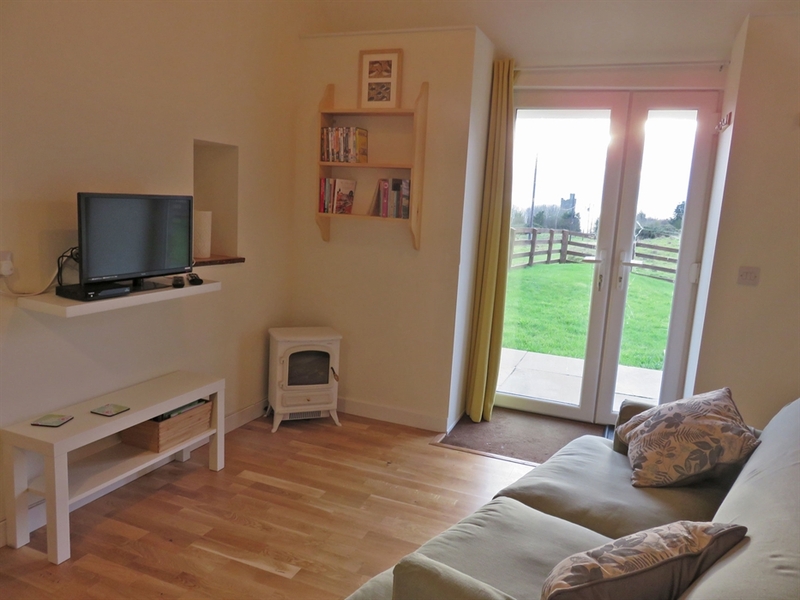 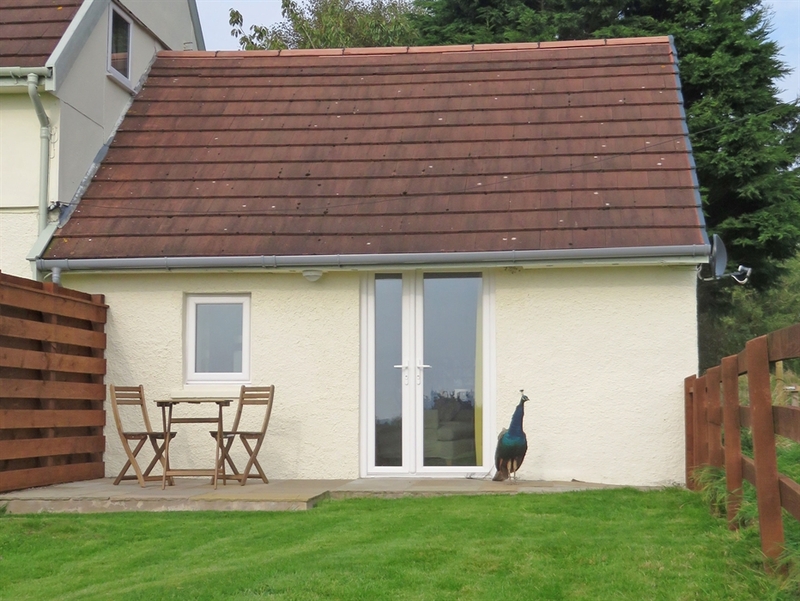 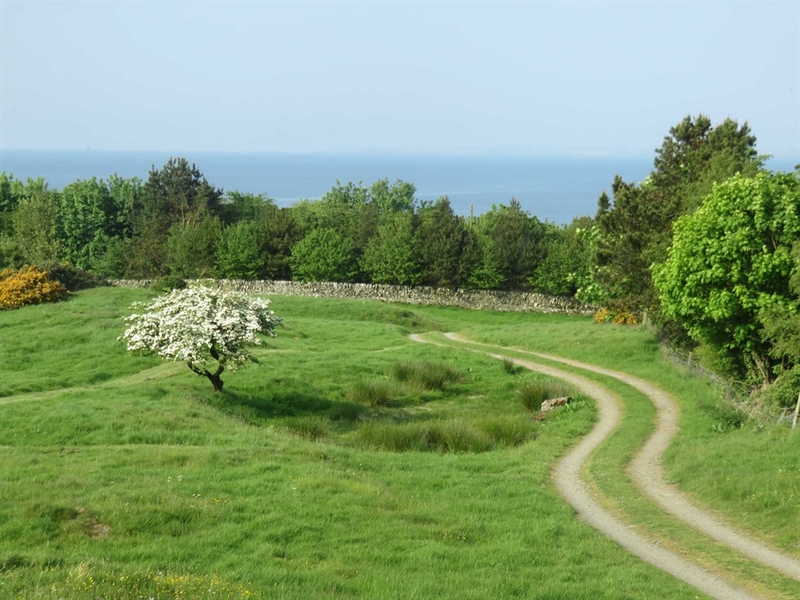 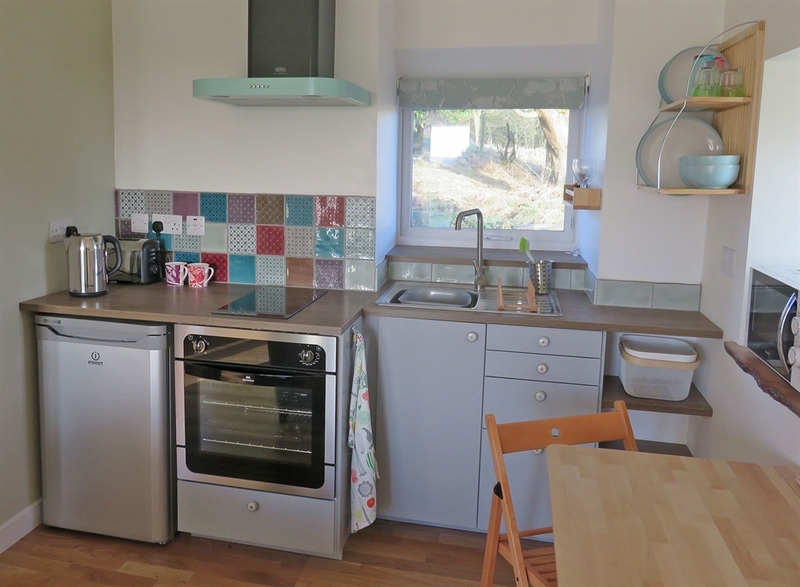 Modern self-contained studio situated on the Solway coast. 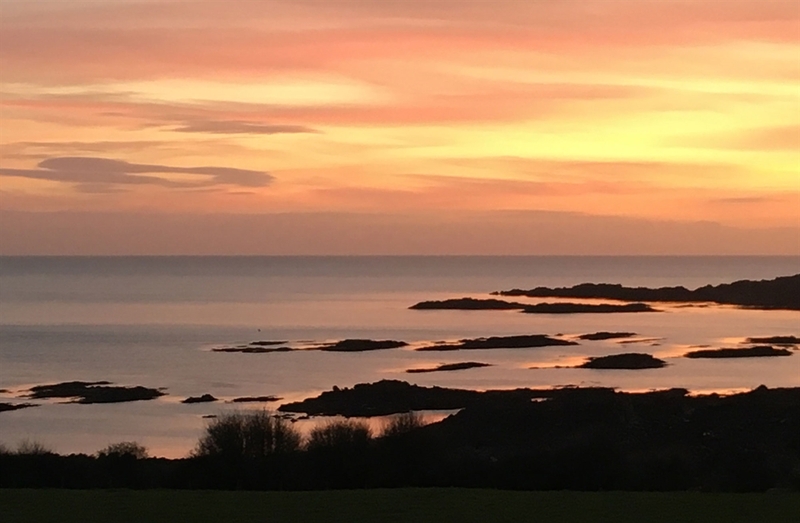 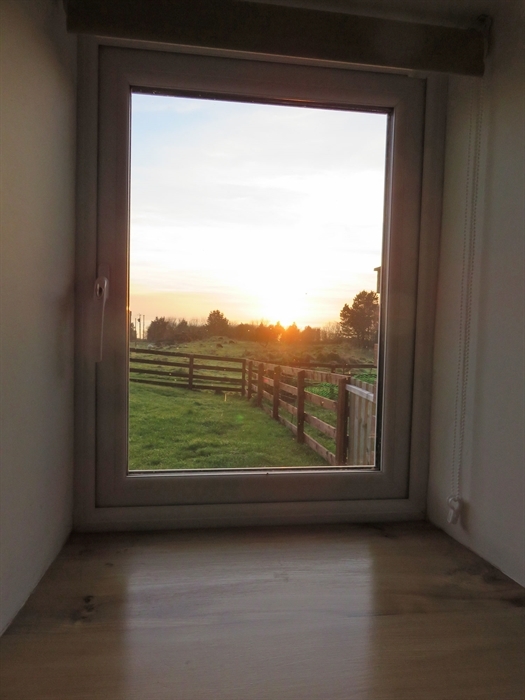 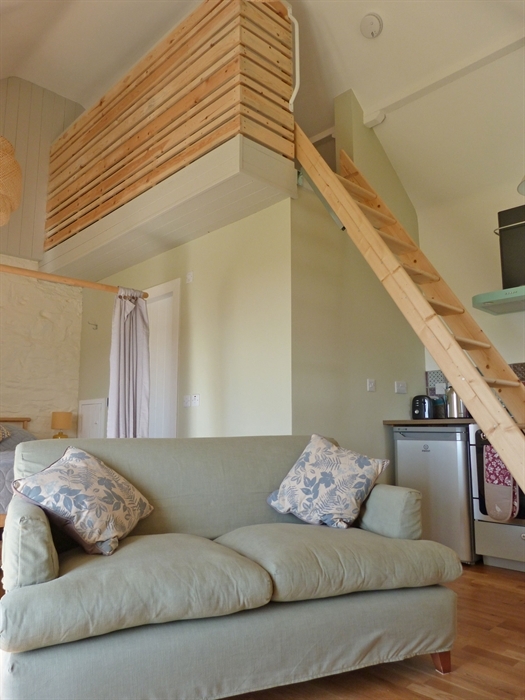 The Bothy is an open plan studio featuring a cosy sitting area with sea views from the patio doors, a compact fully equipped kitchen, spacious king size bed and bathroom with large shower cubicle. 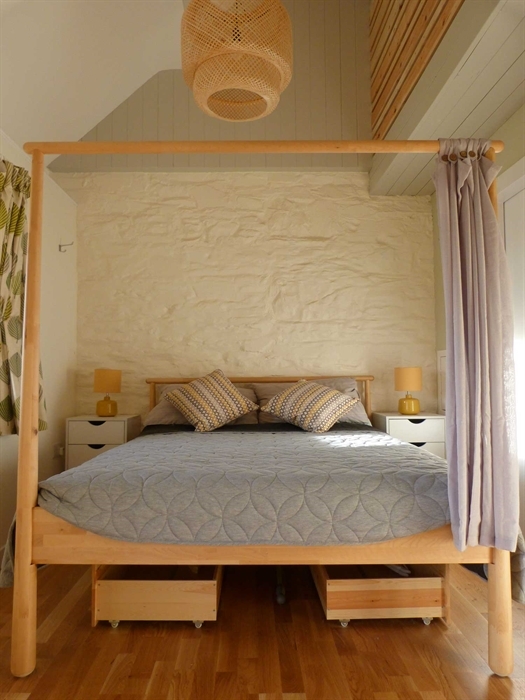 An old stone bothy for farm workers in the 19th century, it has been converted with attention to detail retaining many character features. 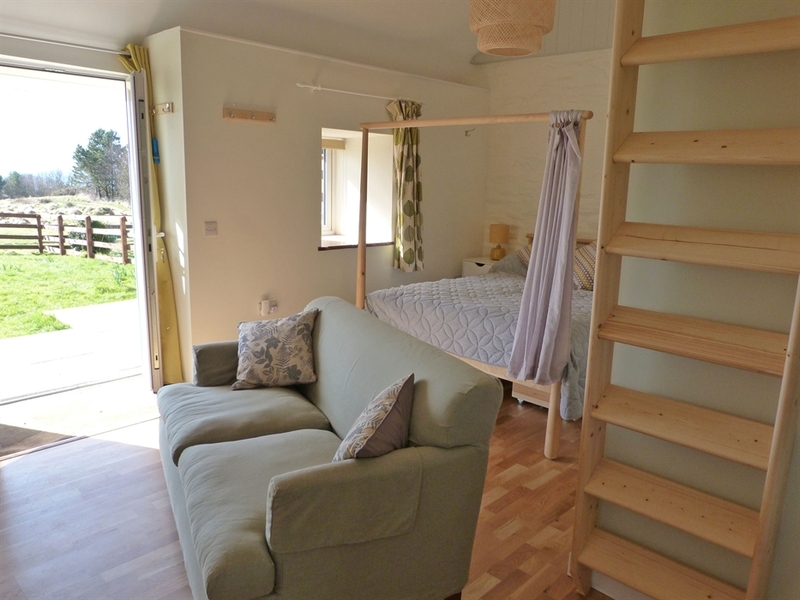 The Bothy is compact but feels light and spacious with it's high ceiling and is comfortable for 2 guests. 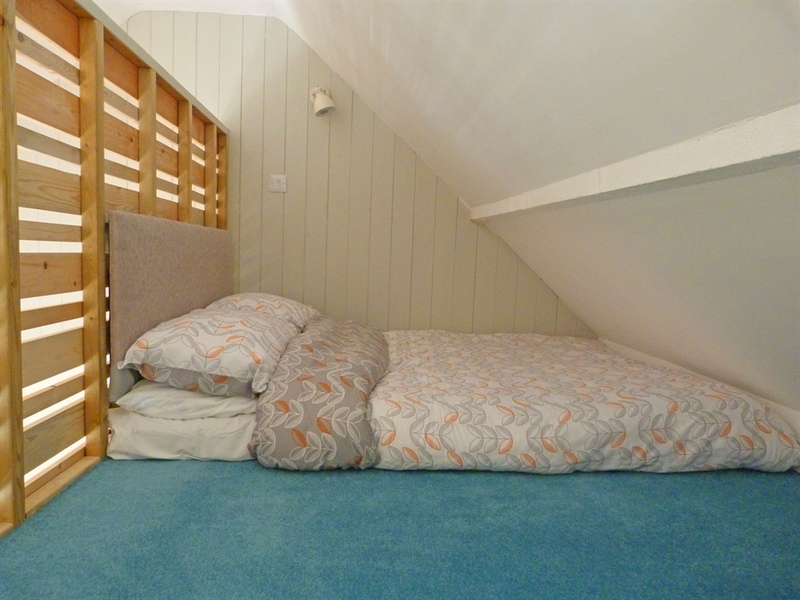 The addition of a unique double loft bed means it offers twin accommodation, or can accommodate 2 extra guests, the loft being ideal for children over 12 and those with a head for heights.